One on One star Flex Alexander and his vocally gifted wife Shanice Wilson are a testimony of hope and believing in one another no matter the circumstances. The two went from having it all, being a millionaire in their own right before even getting together to losing it all over the span of 5 years. But, regardless the couple powered through and got things back moving in the right direction. 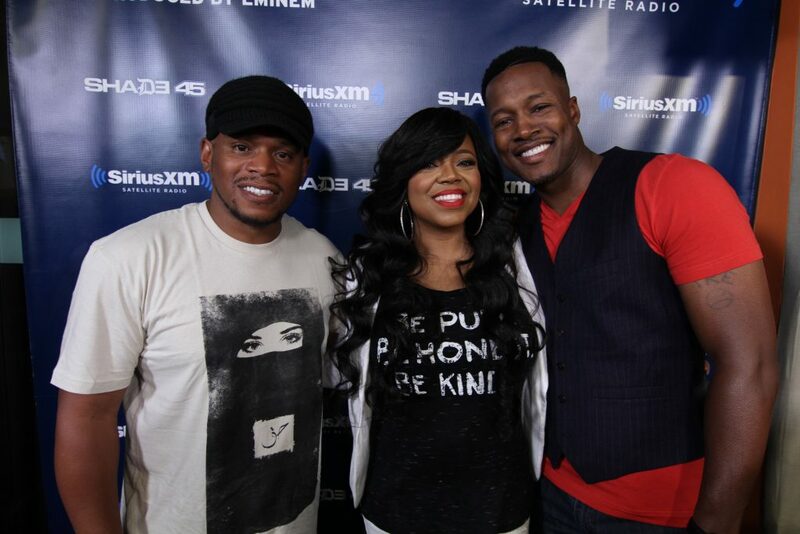 Flex and Shanice spent some time with the Sway in the Morning crew talking about that situation and the role that Martin Lawrence along with a few others played as well. Stepping in like true friends to help pull them out of the tough spot collectively. Their brand new show “Flex and Shanice” airs Saturdays at 10pm on the OWN Network but it’s not what you may expect from a ‘reality show’ – a little bit more substance. Openly admitting to their faith playing a large part in not only that situation but every aspect of life, including the couple being able to celebrate 15 years of marriage through thick and thin. They put it all out in the open every Saturday night providing an hour of genuine transparency, be sure to tune in and check it out on OWN.